"You’re locked in this system and you can’t fix it. You’re going to go to a tragic hell in a handbasket, if going to hell involves being once the great leader of the world and finally going to the shallows in terms of leadership." The ever-expanding welfare state crowds out all other spending. 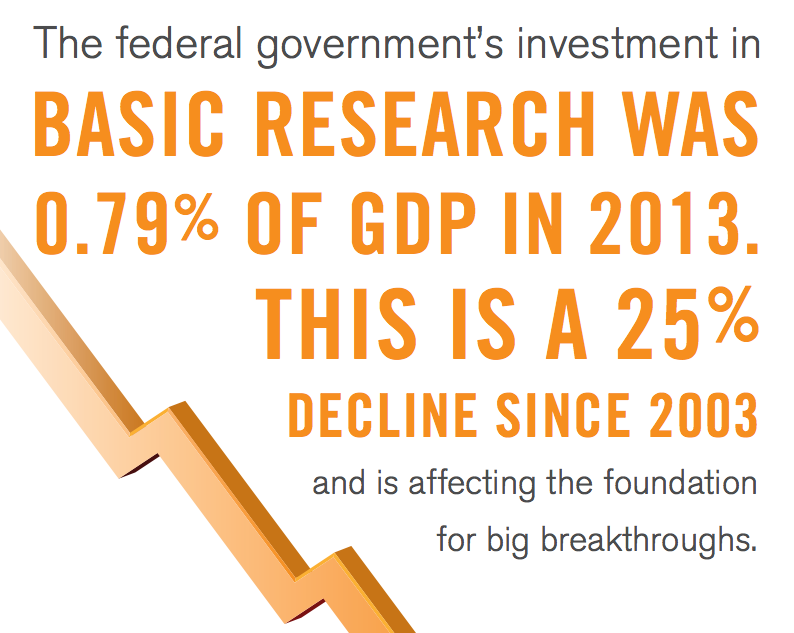 The expansion cannot be stopped, so research dollars will continue to decline. This will have a markedly bad effect on junior faculty. I think Munger just gave $65M to KITP at UCSB! How about scientifically illiterate congressmen? A population of students who think STEM is boring? A culture which portrays scientists as crazy social outcasts? Industry that promotes science denial whenever one of their profit centers collides with the public interest? The "welfare state" isn't even an accurate term for the major drivers of "social spending" which are insurance programs to which the participants themselves contribute premiums throughout their working lives. But I guess it is easier to blame poor folks for the fact that our elite thinks their money comes from lawyering rather than from basic science or technology. "Welfare state" or no "welfare state" basic science could be funded at triple the present rate without the least stress to our fiscal situation -- IF we weren't governed by functional illiterates. How is this different than the offshoring of manufacturing. It was all good fun while it was those lazy manufacturing guys, but now that it is your big fat American research jobs we should be concerned? Since Bayh-Dole allowed federally-funded research to become the exclusive property of corporations, particularly universities, rather than putting it into the public domain, federal research dollars have become pure corporate welfare. That is on top of the egregious skimming by universities of research funds on the pretense of providing facilities (that have already been paid for 3x over) and supporting the overpaid and parasitic campus bureaucracy. The practice of universities demanding to have all patents assigned to them by anyone even attending these schools should also make them unattractive to any inventive person. Why should the US government subsidize basic research more than it already does? I'll admit that my knee-jerk reaction is to push for more government funding of basic research but it's not clear that society is better off if the government increases this funding. Basic research is a public good, that is clear. What is not clear is that the US government's current funding of basic research is below the optimum quantity. All arguments for government provisions of some good require at least two components. 1. An argument for why the good is indeed a public good. 2. An argument for why the government is likely to provide a quantity that is closer to the optimum than what the market provides. If this ends with the toppling of the current pyramid scheme that is academic science, then maybe it does end well.